Last week, I launched a new book and that same day it became a Best-Seller on Amazon. Within 48 hours it became an International Best-Seller. Within one week, I had 26 reviews – almost all of which gave it 5 stars. I received emails from women all around the world sharing their experience with me. One woman, in particular told me about how she went through the book, honestly and courageously asking and answering the difficult questions for her own life and her relationships that are throughout the book. And within one day of doing this work she had a well-spring of kind and attractive men engaging with her where there was no one previously. And for the first time, she felt confident, authentic and open. Soulful Truth Telling is life changing. 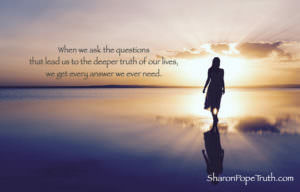 Sharon shares her life and tools that will provide a gateway for finding true love in your life. By changing your thoughts not only will you bring love into your life, but you will find a new love for yourself. Once you do the floodgates to love are endless. After completing her book in one day love was pouring into my life. Part of the work I do through my writing, my coaching practice and my retreats (where I’m at right now!) 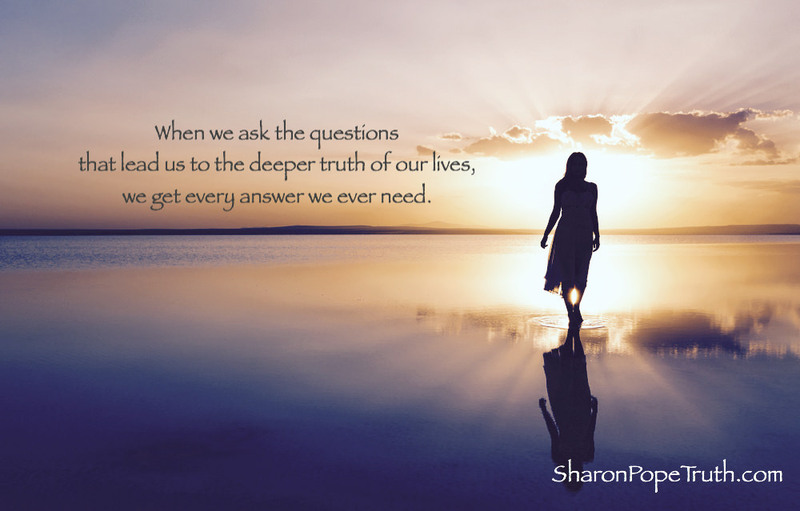 is ask the questions that lead us to a deeper truth of our lives and give us every answer we ever need. Where have you abandoned yourself or your heart for the possibility of love? What is the greatest gift that a lost love provided me? What insight, preference or awakening do you have now that you didn’t have previously? What part of your life doesn’t feel in flow? What feels stuck or stagnant? (My personal favorite from Danielle LaPorte’s Conversations Starters app, paraphrased): Everything you will be or do or have is lined up before you. What’s at the front of the line?